Find The Golden Eggs & WIN! 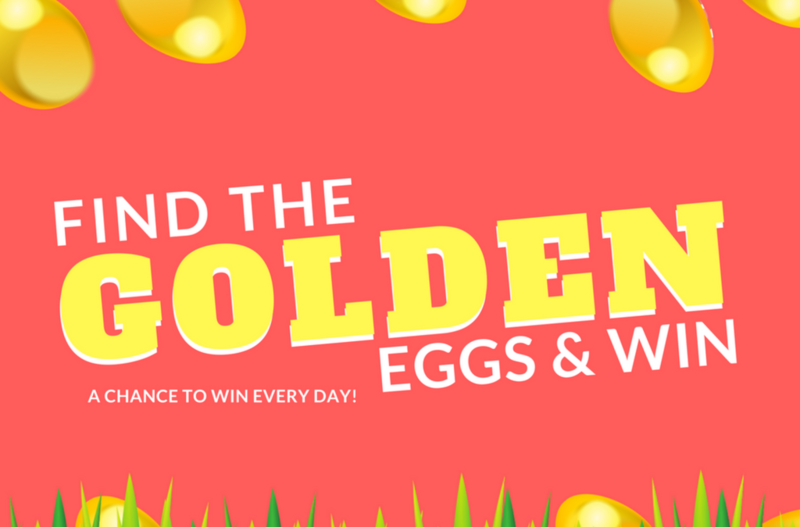 Every day from Monday 26th March – Saturday 7th April (Excluding Sundays), we will be hiding a GOLDEN EGG within the market! Find the GOLDEN EGG & WIN!! There’s plenty of Easter Eggs & Market Vouchers to give away! Keep following our Facebook page for a new CLUE every day to help you find the egg! Remember we will be hiding a new egg every day, so any eggs that are not found will be rolled over to the next day! Don’t worry we will keep you updated when the eggs are found or still to be found! Keep an eye out though as some days we might be a little extra generous on the GOLDEN EGGS! Each GOLDEN EGG contains a golden ticket with a number! If you are lucky enough to find one, please take this to The Management Suite within The Luton Indoor Market to claim your prize! T&C: Please not that traders & staff members may not enter. All prizes must be collected by April 14th from The Market Management Suite. Winners of Market Vouchers, will be given vouchers to spend at any stall within the market. Please not you will not be given change from the vouchers but we will try to give vouchers in small denominations where possible. Any winners coming to claim prizes must be over 16 and with a parent or guardian over 18. Good Luck!